– “I have no past, I have no future,” Zatou would have answered, making a clear reference to how his graffiti had been erased in the past and would continue to be erased in the future by order of authorities extremely worried about the mental health of their citizens. (1) The dangers of the eye and hearing, and that all faculties hide a hidden danger within them is taken from the book Zuangzi, translated by Iñaki Preciado Idoeta, published by Kairós in 2007. Book XXIV, page 257. 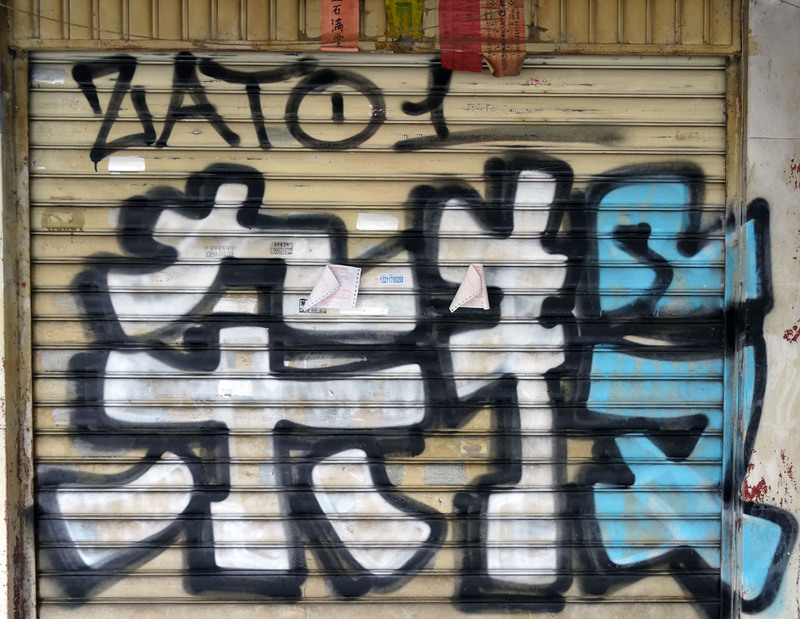 The Zatou graffito that Sun Long showed me in Beijing is in Jīngmìlù street (京密路).